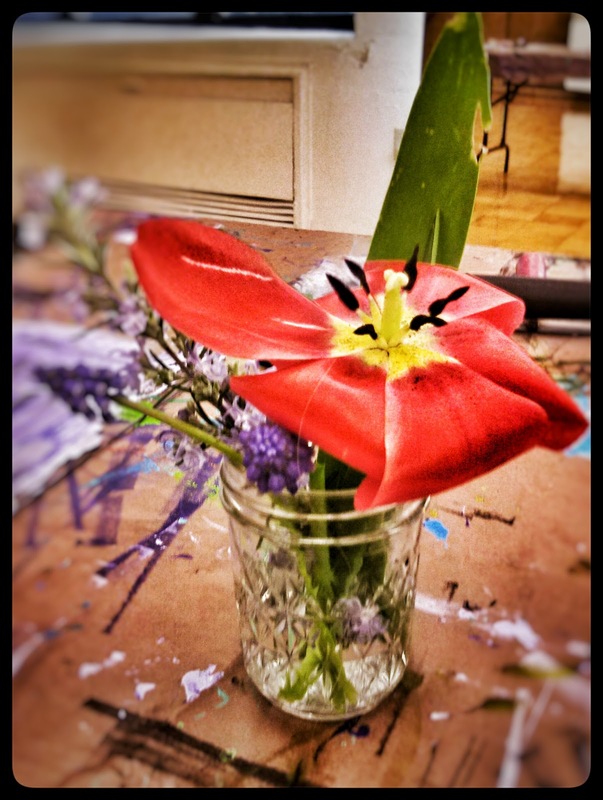 Studio Kids - Children's Art Classes in Ballard, Seattle: The tulips are blooming! It is spring in Seattle and my garden is going crazy. I like to edit the still life so that students can can do some careful observation for their compositions. 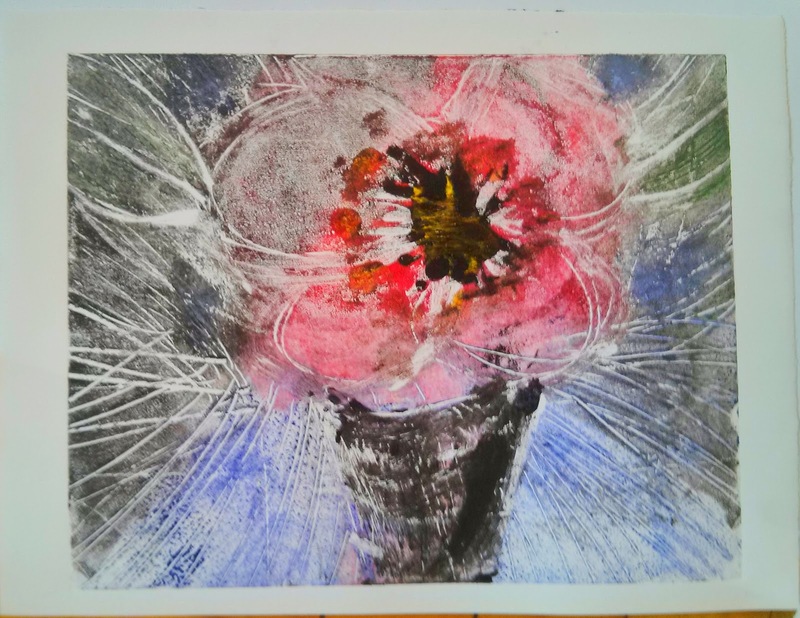 I was hoping for a traditional closed tulip for my printmaking class but after 30 minutes in the water, this happened! 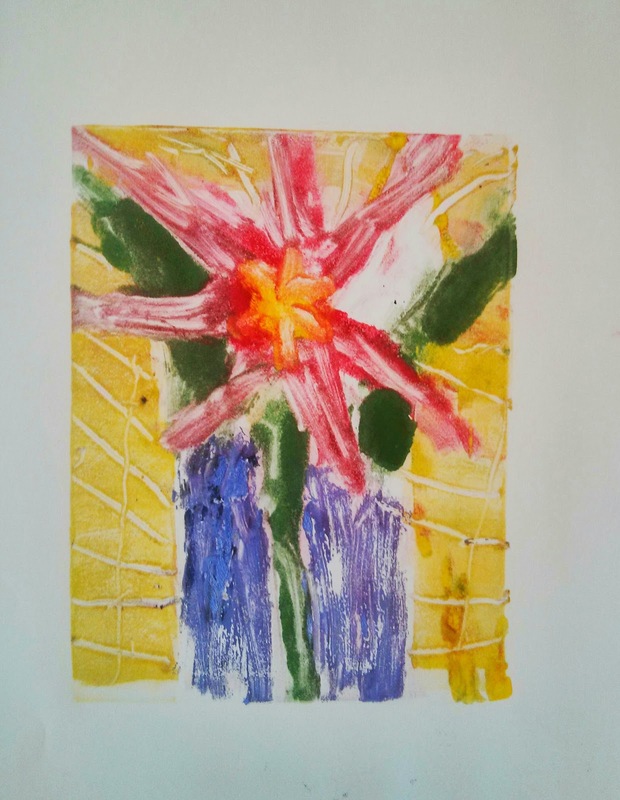 This week we made some beautiful Monoprints. 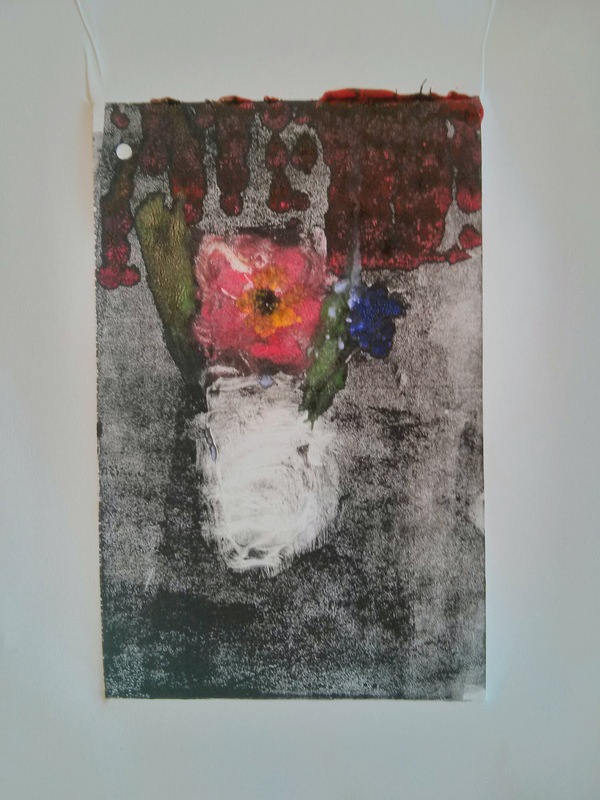 After printing their plates, students did another image using the same plate and the ghost image that remained. The gradual build up of layers has beautiful results. These 3 would be gorgeous framed and hanging together! 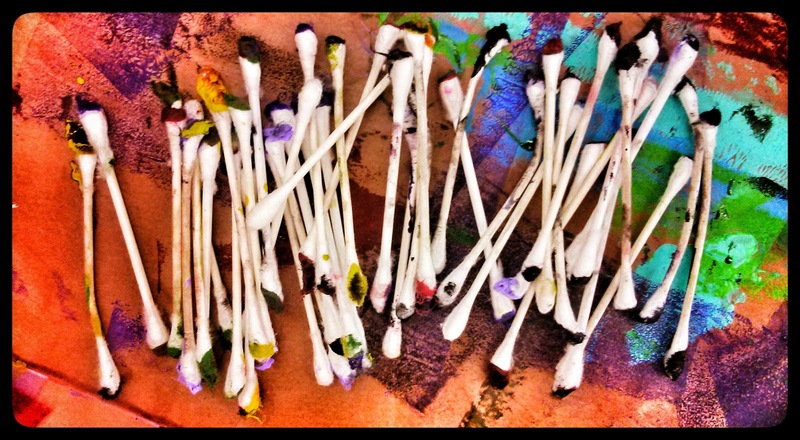 Tools of the trade, the humble q-tip. Your student's prints are beautiful! Can you explain the technique your students used? Thanks very much! 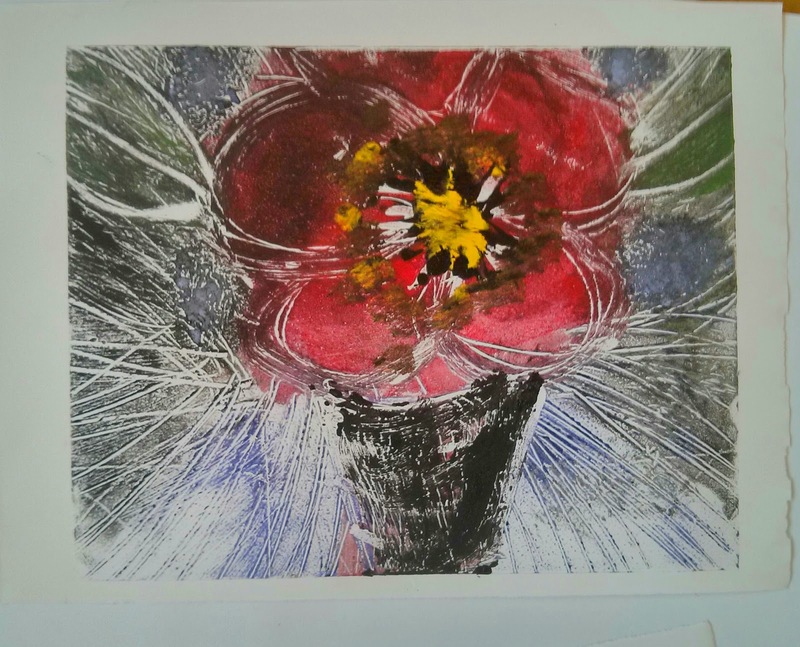 Hi Chris, students used water based etching inks. 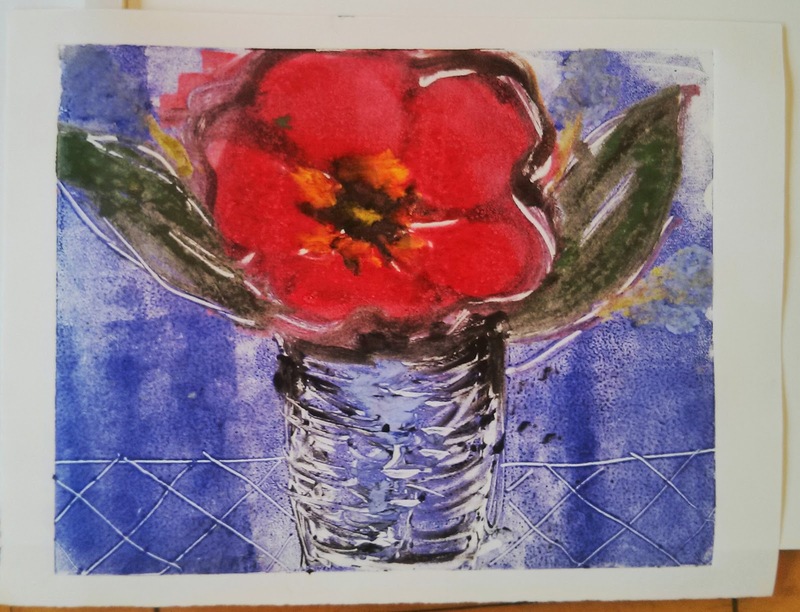 we rolled colors onto plexi glass plates and drew through the ink with a brushes, qtips and rags and then printed the images on a etching press. plates were not cleaned betweeen printings. students were to use the ghost image to do the next print. each print then gets added layers of texture from the previous prints. 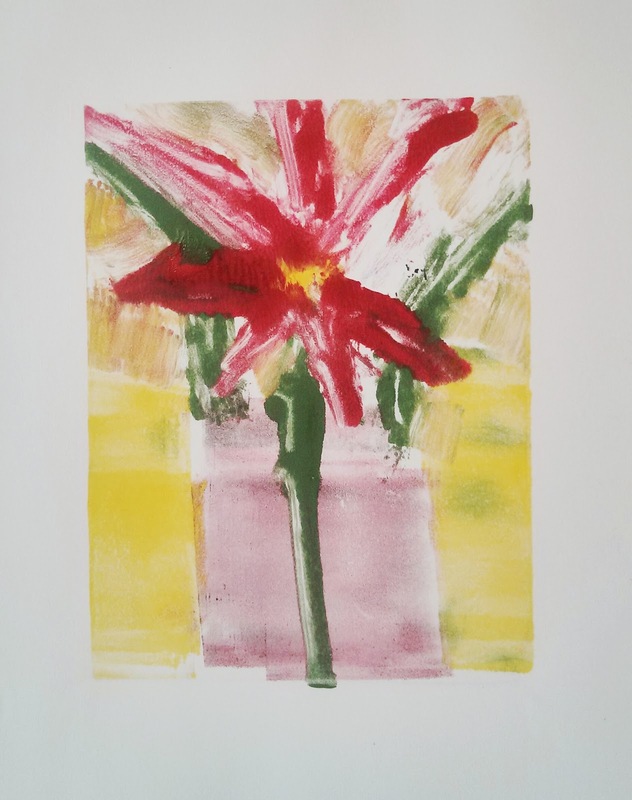 Spring Art classes are now enrolling!